“KUCHEZA”, MoFrancesco Quintetto, Sintoma Records, 2016. 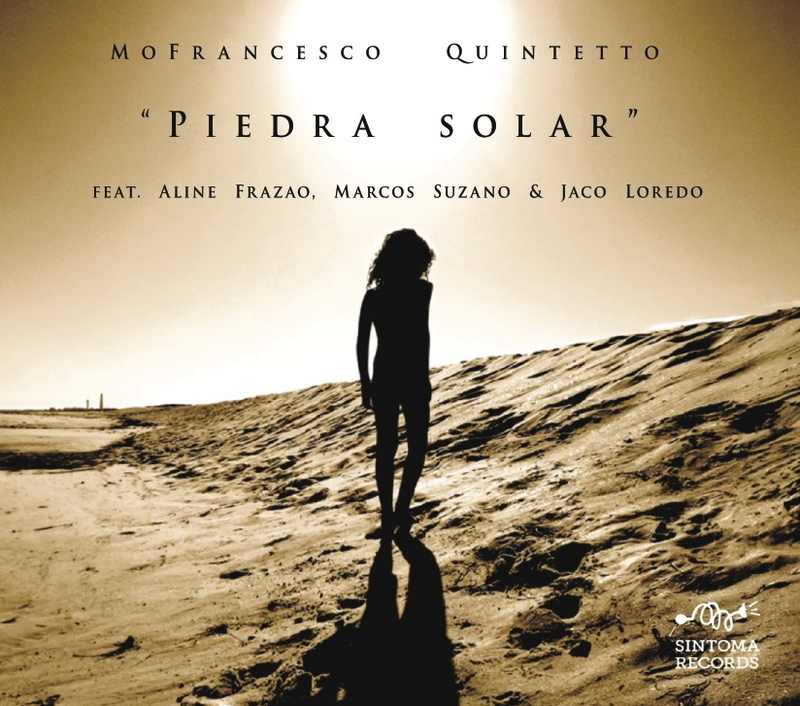 “PIEDRA SOLAR”, MoFrancesco Quintetto, Sintoma Records, 2014. “MALOCA”, MoFrancesco Quintetto, Art of Life Records (distr. : Ponto Zurca/Delira Música), 2013. The project was born at the end of the academic year 2010/11 of the degree in Jazz Music at ESML, Escola Superior de Musica de Lisboa. On the occasion of the last recital Francesco Valente, on 28/06/11, this quintet has emerged that exhibited with original compositions. Following training began acting in Lisbon in several places where there is a weekly Jazz agenda (Festival Douro Jazz, Sintoma Festival, ESML, Out Jazz, Hot Clube de Portugal, Onda Jazz etc. ), and began to act also outside this context (Italian Film Festival, Volvo Ocean Race, Universidade Nova with David Murray etc.). “Maloca is truly a hidden gem of an album and bassist Francesco Valente and his remarkable MoFrancesco Quintetto, are the reason why this impressive debut, sparkles all over”. Edward Blanco (All About Jazz, Feb 2014). “The music that results is soundly rooted in Latinesque jazz with a further, almost indefinable refinement that no doubt results from Valente’s august education. The compositions are complex, yet melodic and the instrumental support and integration is completely formed, precise and accurate”. C.Michael Bailey (All About Jazz, Feb 2014). “Thinking man’s music, Euro jazz/fusion at its very best: Bartok would have approved”. Chris Mosey (All About Jazz, Jan 2014). “Maloca is a refreshing and invigorating session that stays within tradition while still exploring and creating a new voice. A solid debut from Francesco Valente and his MoFrancesco Quintetto. Highly Recommended”. (JazzWrap, Feb 2014). “The MoFrancesco Quintetto, led by super-bassistFrancesco Valente is one powerhouse group that will blow your socks off playing originals anchored in hard-bop with an Iberian twist, but who also can show a softer, more melodic side”. Budd Kopmann (All About Jazz, Jan 2014). “The variety of the tunes and their singular nature make of Piedra Solar a multifarious album shining with creativity, ardor, elegance and concern for arrangement. The album should make a big splash”. Mehdi El Mouden (All About Jazz, Dez 2014). “So, while the Italian bassist also includes Andalusian folk music and a Federico Garcia Lorca poem in his tribute, Piedra Solar (Solar Stone) reflects a very modern, fluid Iberian identity that recognizes the influence of the New World, most likely destination of “The Stone Raft.” Chris Mosey (All About Jazz, Nov 2014). “Benefitting from excellent compositions, arrangements and gifted musicians, this album of modern, fusion jazz has been carefully crafted and is, by the admission of the group, a conscious homage to the Iberian Peninsula. But whilst this Portugese-based group makes no secret of its debt to the heritage of Latin jazz, this album also perfectly illustrates the trulyinternational language of the idiom”. Roger Farley (All About Jazz, Nov 2014). 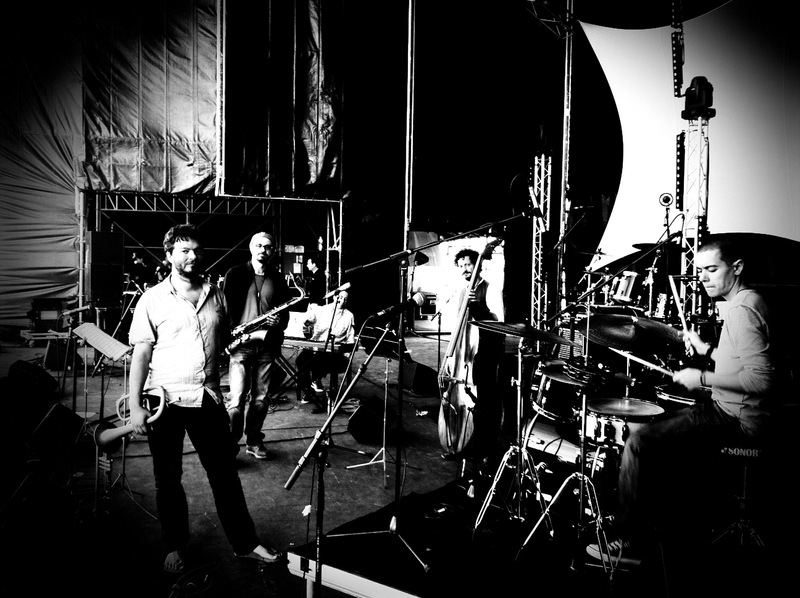 “Kucheza is a fascinating blend of musical influences—modern Mediterranean jazz at its very best”. Chris Mosey (All About Jazz, Jan 2017). “Jazz has certainly come a long way since its early beginnings, whose free spirit and richness of form means that one could easily spend a whole lifetime marvelling at its infinite variety. And none more so than on Kucheza, the MoFrancesco Quintetto’s sublime and engaging new album. Based in Lisbon, Portugal, European jazz doesn’t get any better than this”. Sacha O’Grady (All About Jazz, Jan 2017). NEWS: Teaser of the new album “Kucheza”, MoFrancesco Quintetto, 2016. “MoGnawa” (Kucheza, MoFrancesco Quintetto 2016). NEWS: Full album “Maloca” (MoFrancesco Quintetto, Artoflife Records, 2013). NEWS: Full album “Piedra Solar” (MoFrancesco Quintetto, Artoflife Records, 2014). NEWS: Release of the second album “Piedra Solar” – Sintoma Records, 2014. NEWS: New Album “Piedra Solar” by MoFrancesco Quintetto.